… -9 … the countdown has finally started! 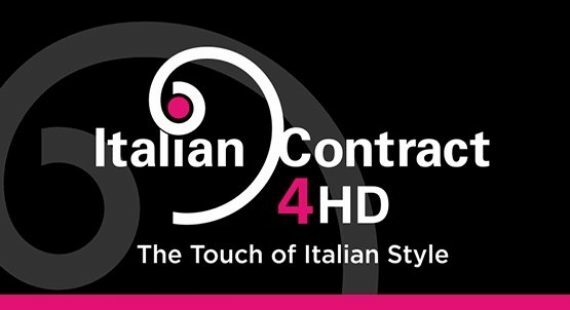 For the fourth time a selection of the best Italian companies in the hospitality sector will exhibit under the umbrella name of ItalianContract4HospitalityDesign (ic4hd) at HD Expo – the most important trade show for the segment on the US market – opening on May 14th. 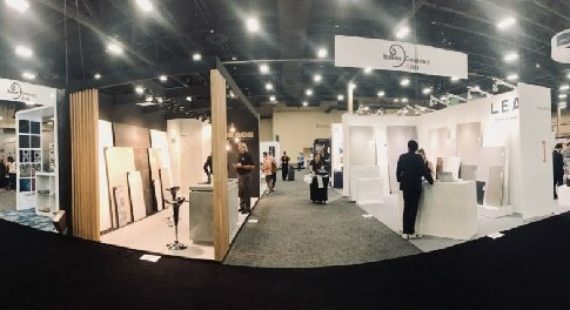 This time, again, the exhibitors will present a vast selection of product categories, ranging from Gervasoni (#4846) outdoor upholstery to New Life (#4753) customizable furniture, Indel B (#4747) minibars and Radici USA (#4751) carpets, down to Lea North America (#4851) technological ceramics and Sleeping and co (#4852) hook-and-loop tiles and panels in leather, eco leather and fabric. Each company shows some news, every product embodies the best of Made in Italy for high quality and design. Here it’s a brief preview of what you will find at the show. Ghost Out by Gervasoni is a special collection of sofas, armchair and love-seat for outdoor use upholstered with water repellent polyurethane foams, whose peculiarity is given by a fissure between the seat and the back, that enables the water to flow out. Indel B will show off KD50 Smart, the new customizable drawer compressor minibar. Another innovation comes from Lea North America: rather than working on standard sizes, the new Type32 collection uses the Slimtech long slat (20x200cm) in the new 5mm thickness: 4 matchable graphics in 2 shades allow multiple combinations of graphic elements on the floor. As for the first time exhibitors, New Life will present Pascià chair and other customizable pieces of furniture: starting from a CAD drawing, a vector file or another drawing that is put into the computer, a 5-axis Numerical Control Centre cuts and mills on any material – wood, plywood and plastic. Radici USA will display a wide range of its carpets, among which the stylish Capri, a Wilton Woven, cut and loop carpet, Made in Italy of 100% New Zealand wool, available in 10 beautiful colorways with a stunning design. Last but not least, the tiles and panels created by Sleeping and co: thanks to the wide choice of materials and colors and to the extremely easy laying system, this product grants the highest possibilities of customization of each surface, both straight and curved. ic4hd companies can be followed also on the social networks Facebook and Twitter! Are you ready? We’re waiting for you at HD Expo, from May 14th to 16th at Las Vegas Mandalay Bay! Click here to download the press release ic4hd @ HDexpo2014 ENG.